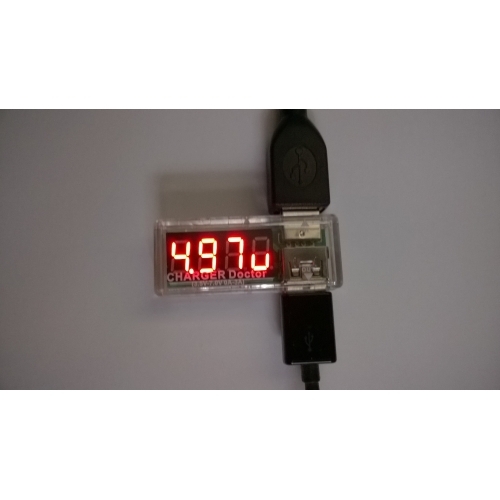 Just what I was looking for to verify that USB devices are charging and at what rate. Exactly as pictured, and only one problem. 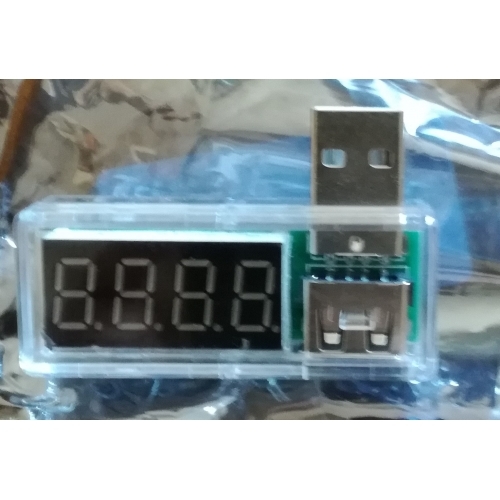 I removed a single star since one pin of the display module had a cold solder joint, causing one segment on each digit not to light up. Thankfully, the clear plastic casing is well designed and can be carefully opened with a spudger tool. A quick touch up with a soldering iron and the device is perfect. 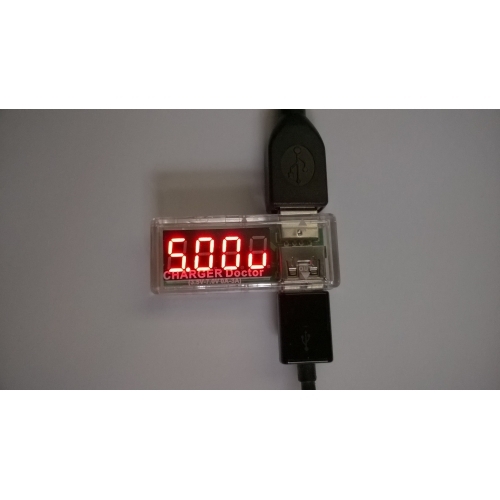 Just what I was looking for to verify that USB devices are charging and at what rate. Exactly as pictured, and only one problem. I removed a single star since one pin of the display module had a cold solder joint, causing one segment on each digit not to light up. Thankfully, the clear plastic casing is well designed and can be carefully opened with a spudger tool. A quick touch up with a soldering iron and the device is perfect. Hiso algunos testes a mis dispositivos y confirme que es muy preciso y con información correcta. Lo recomiendo en especial a los que pretenden saber si es el cable o transformador que si rompieran quando no tienes signal en tu USB. Lo recomiendo. Hiso algunos testes a mis dispositivos y confirme que es muy preciso y con información correcta. Lo recomiendo en especial a los que pretenden saber si es el cable o transformador que si rompieran quando no tienes signal en tu USB. Lo recomiendo. 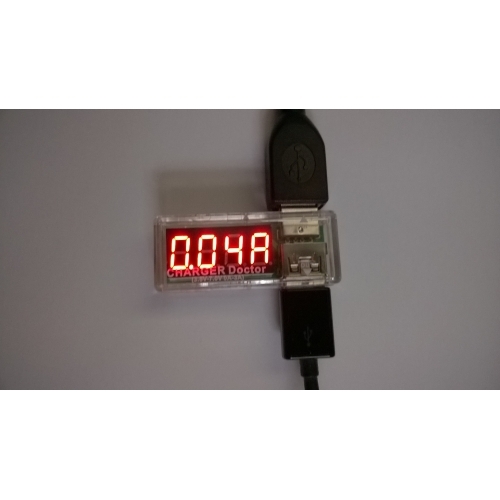 This a great tool box item for checking usb port voltage and current draw. 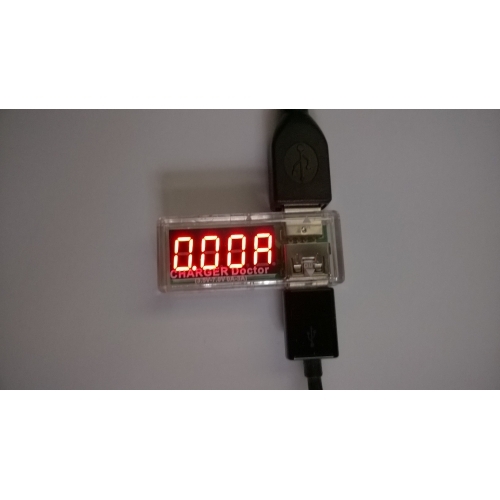 This a great tool box item for checking usb port voltage and current draw. Snelle levering en goed ontvangen. Snelle levering en goed ontvangen. Ottimo prodotto, funziona benissimo. usato per misurare assorbimento smartphone e tablet. Ottimo prodotto, funziona benissimo. usato per misurare assorbimento smartphone e tablet. Otrzymałem, Nareszcie wiem jak się ładuje telefon. Urządzenie super. Otrzymałem, Nareszcie wiem jak się ładuje telefon. Urządzenie super.